CD International, Inc. Stainless Steel Alignment Shims are pre-cut and stamped with both the actual and the nominal thickness ensuring an accurate and efficient alignment. The exact thickness of each shim within the package is the same. Our high quality (MIL-1-45208A) shims are made from durable, corrosion resistant 304 stainless steel. Four machine foot sizes available in thirteen thicknesses PLUS a New AA size shim now available in seven thicknesses. Note the new AA shims are used on small fractional horsepower motors and do not have tabs on them. Fractional HP motors, although less expensive, need to be aligned properly since they are less able to withstand the forces of misalignment. Size A Shims are 2" X 2" with a 5/8" slot. Size B Shims are 3" X 3" with a 3/4" slot. Size C Shims are 4" X 4" with a 1 1/4" slot. Size D Shims are 5" X 5" with a 1 5/8" slot. A, B, C & D come in a range of thicknesses from .001 to .125. 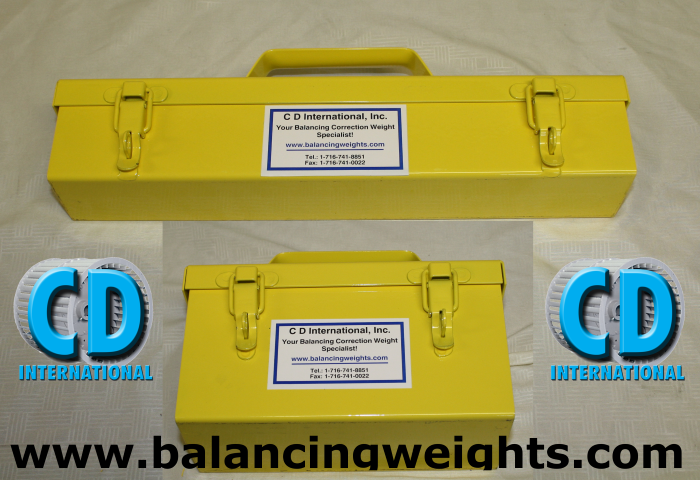 A Mini Set comes in a convenient metal carry case and contains 10 of each thickness. A Full Set contains 20 of each thickness. Size AA,thick, Stainless Steel Alignment Shims come in .001", .005",.010",.015" & .020" thicknesses.